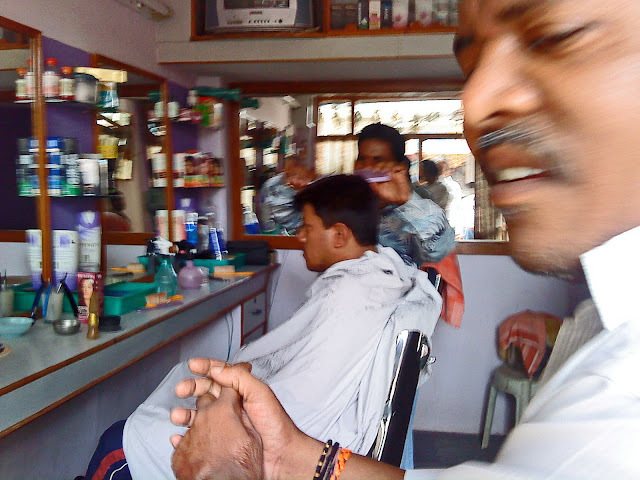 Barbars don't call themselves barbars anymore, however small their little saloon is. Everyone is a hair stylist. This particular salon from Kolkata boasts of three chairs and the rate is Rs 10/- for a shave and a little more for a hair-cut. It's a men's salon. In the picture you can see the ramshackle surroundings, the cheap pink plastix stand and a few customers. 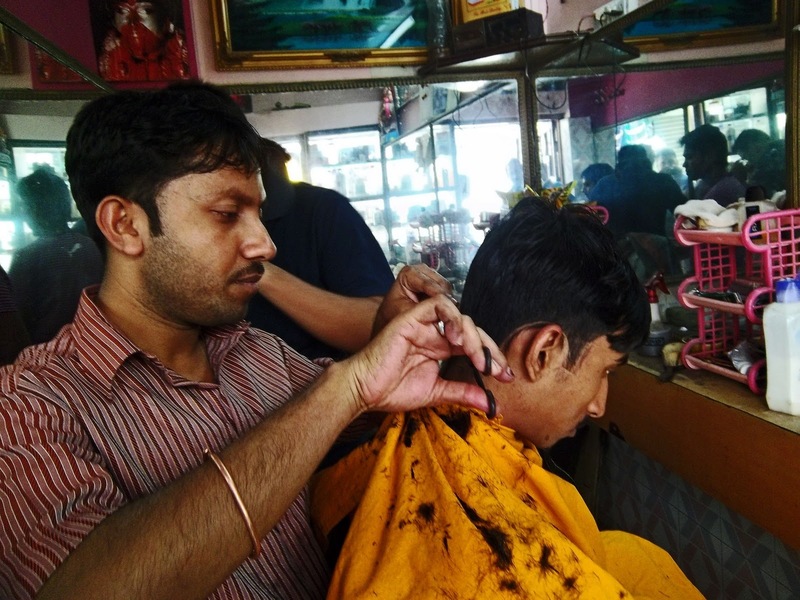 In the foreground is a barbar or hair stylist cutting the hair of a young male customer with a scissor. This one is taken in the city of Hyderabad, in the state of Andhra Pradesh. This salon is slightly more respectable, with fancy cosmetics lined up in on the shelves. It is still a fairly small salon. A barber is cutting the hair of a customer. In the foreground is the face of a hair stylist at the salon.